Great price. Nice seats and finish. Good for camping. Great price. Nice seats and finish. Good for camping. Seems easily damaged. Bought this boat to replace an Old Town Camper. Was a great looking boat and the price was fantastic. 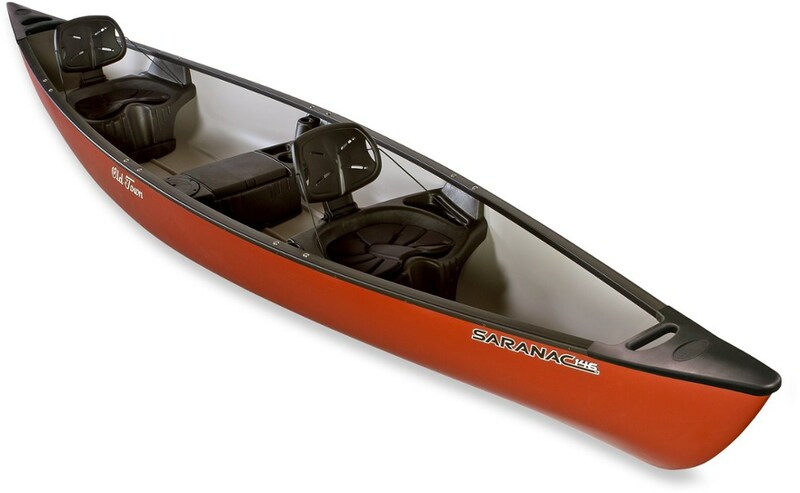 I use this canoe mostly on lakes with a bolt on sail kit and to transport wife, dogs, and gear to an island campsite. For us it is a useful canoe. It paddles well and tracks straight. If it were longer it would probably track straighter. Our Old Town was a 16 footer and this one tracks almost as well. It is a tad heavy but that is not to much of a concern, for transporting you can use one of those two wheeled dollies and it is not problem loading and moving it around. With two people it is not issue at all. 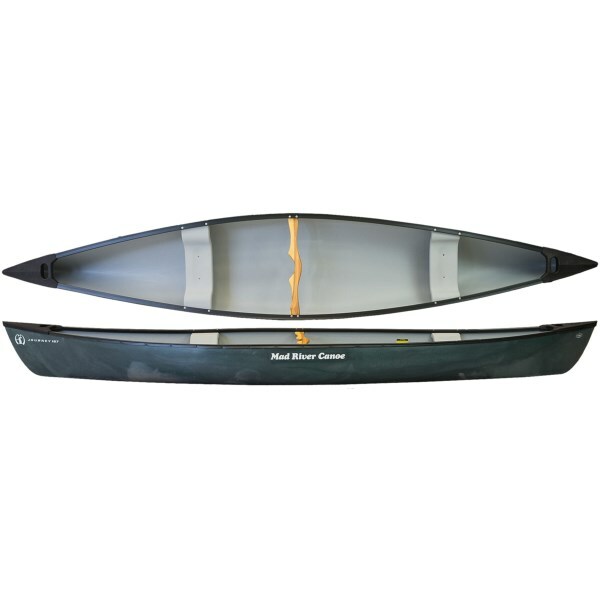 With the sail kit installed it is a fast and extremely fun canoe to have at the lake. 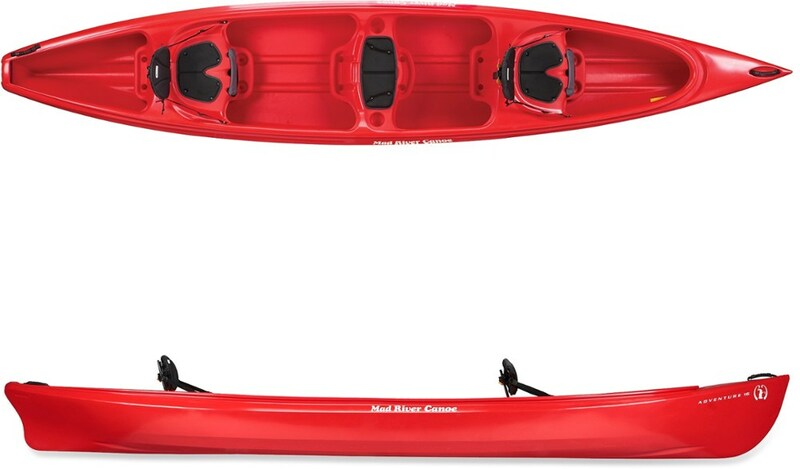 Paddling solo is no problem because the seats are placed right for either tandem or solo, depending on which seat you use. With the wood thwarts and web seats it looks like a very expensive canoe. The gunwhales are on tight and do not have any 'bulges" along their length. The boat seems very well put together. It has also proven to be very stable, it is easier for my wife to climb in and out and to haul the dogs in and out without tipping as much as the Old Town did. The only complaint/concern that I have is that the skin seems very fragile. While loading this canoe I had to gently roll it over in a parking lot (a maneuver that I have done many many times with the Old Town) and it got a pretty bad "scar" on the bow. ( I was holding it by the stern.) It almost looks shredded. Since then I have been very careful not to "beach" it, or let it come in contact with hard surfaces. I am not sure if this is normal for this canoe. Perhaps this is why it is so inexpensive. The Old Town canoe stood up to years and years of this sort of "abuse" and although scratched did not show the amount of damage that this Mad River Canoe shows. I am not sure if I have buyer's remorse or not, but next canoe is going to be another Old Town. Hi John, I enjoyed your review. I think it is important to note several things. First, the Camper and Journey are vastly different materials, the former being Royalex and the latter Poly. The latter is heavier and less expensive. As well, formulations of each have changed in recent years, due to government regulations. As well, even before those changes, the materials will be much softer when new and harden over time. 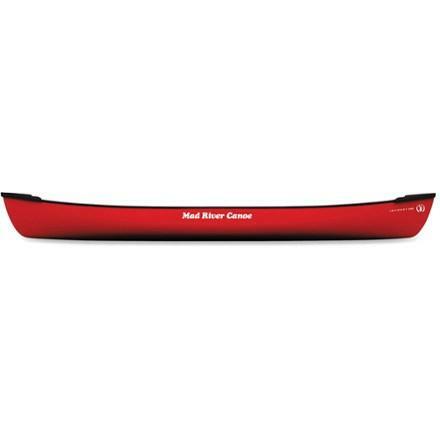 Skid plates will increase the longevity of the canoe at the ends. Regarding the technique of beaching. Canoes should not be beached, but rather brought alongside the landing and then the paddlers step out while the canoe is still afloat. 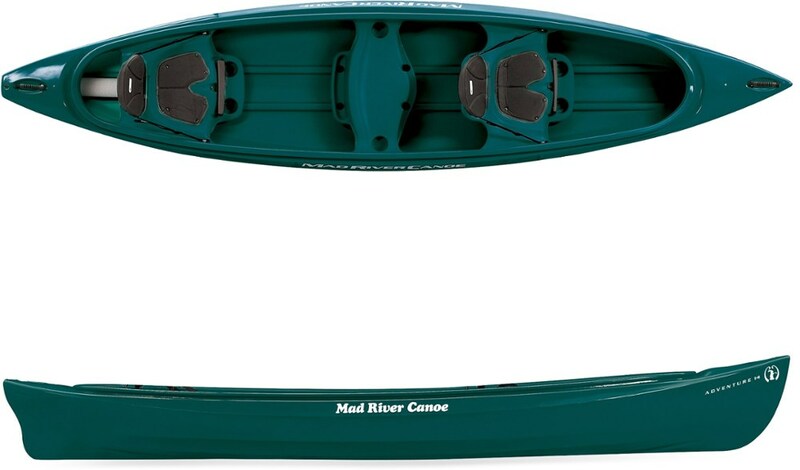 Your wife will find getting in and out much easier if she grasps both gunnels while stepping into our out of the center of the canoe(side to side, not fore and aft). The Mad River Journey 156 is not available from the stores we monitor. It was last seen November 4, 2017	at REI.